LINKAM Scientific Instruments Archives - LABORSCIENCE A.E. The THMS600 is one of the most widely used heating and freezing microscope stages available. Thousands of stages have been sold around the world to date. 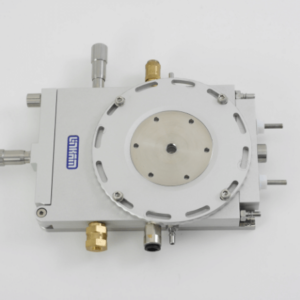 The THMS600 is used in many applications where high heating/freezing rates and 0.01°C accuracy and stability are needed. The THMS600 has a temperature range of -196°C to 600°C. Samples can be quickly characterized by heating to within a few degrees of the required temperature at a rate of up to 150°C/min with minimal overshoot, then slowed down to a few tenths of a degrees per minute to closely examine sample changes. The entire experiment can be saved as an online plot or exported to a spreadsheet application.